It hadn't even been a year since a plantation owner named Louis had lost his wife, and now he had lost his will to live. A vampire named Lestat takes a liking to Louis and offers him the chance to become a creature of the night: a vampire. Louis accepts, and Lestat drains Louis' mortal blood and then replaces it with his own turning Louis into a vampire. Louis must learn from Lestat the ways of the vampire. 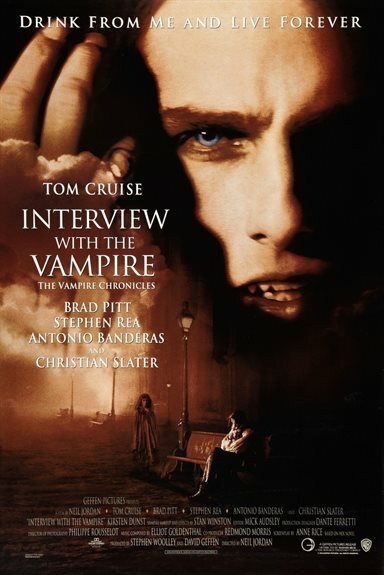 Download Interview With The Vampire in Digital HD from the iTunes store. Interview With The Vampire images are © Warner Bros.. All Rights Reserved.